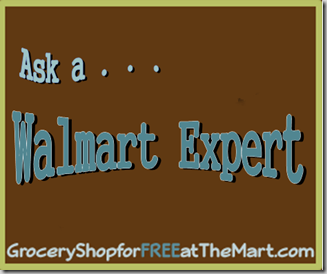 Ask A Walmart Expert: Does Walmart Price Match Kroger’s Milk Prices? Walmart will only price match like items so you can’t price match Kroger’s house brand of milk to Walmart. The only time you can PM milk from Kroger is when Kroger puts a brand of milk in their ad that Walmart carries, around here that is usually Borden Milk but it is probably unique for your area of the country. Sometimes, if someone is having a REALLY good deal on milk, you can’t price match it yourself but Walmart will just drop the price to compete. When Aldi’s started opening up around here their big push was cheap milk to get people in the door. This worked extremely well as every Aldi’s in the Metroplex was packed all the time. Once the Walmart’s in my area noticed they dropped their milk price, which caused Aldi’s to drop theirs a dime, which caused Walmart to drop theirs a nickle, etc. Before too long, milk was cheap enough that we could have bathed in it if we wanted. Is was one of those times when having big chest freezers really came in handy!